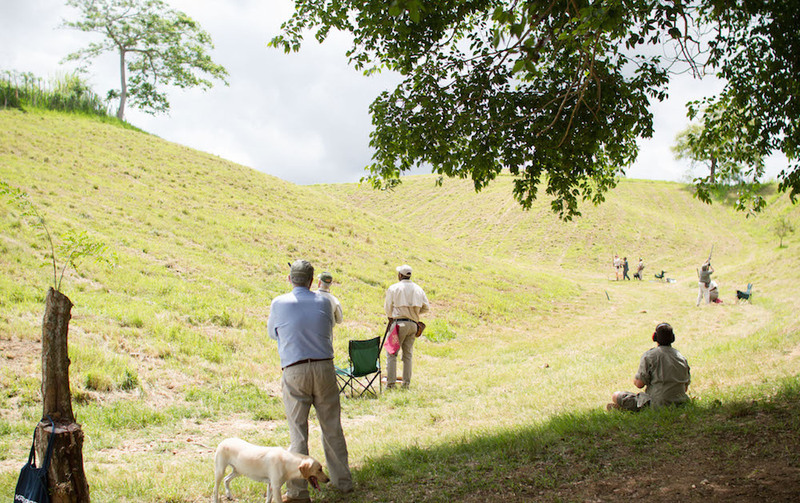 On Tuesday, April 24th, the 31st Annual Sugar Shooting tournament began with the first shots fired at Rancho Peligro, Casa de Campo’s private wilderness reserve. 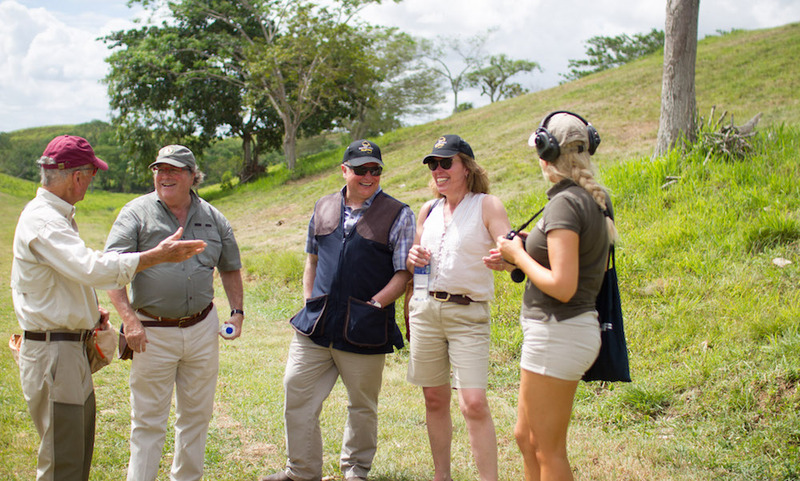 Various shooting enthusiasts and a couple of man’s best friend made their way to the Casa de Campo Shooting facility for the first day of the tournament. The bird drive took place in 2 different areas of Rancho Peligro and was from beginning to end, very exciting! This was my first time at Rancho Peligro, I had never experienced the thrill, excitement, and exhilaration of a live drive, it was truly incredible. Of course, I wasn’t taking part in the shooting, just a viewer from the sideline, but It is definitely an experience I will never forget. Rancho Peligro, a private wilderness reserve approximately a half hour drive (or just a few minutes in a helicopter) inland from the Casa de Campo Resort is where experienced shooters can enjoy driven bird shoots with pheasant, partridge and mallards. The shoot area, developed under the direction of Pepe Fanjul Sr., has six different drives, all planted with game crops that are located on the tops of the valleys for showing the best possible birds. On each one of the drives, the birds were hiding in the undergrowth and were ‘flushed’ out a few at a time, so that there was a constant stream of flying partridge and pheasant over the heads of the guns. The shooters shot with such impressive skill, that the birds were literally raining from the sky. Each ‘shooter’ had 2 shotguns and was accompanied by a ‘loader’ who not only loaded the shotguns but also counted the number of birds shot by each shooter – a total which will be added up to create a final score to determine the overall winner of the tournament. 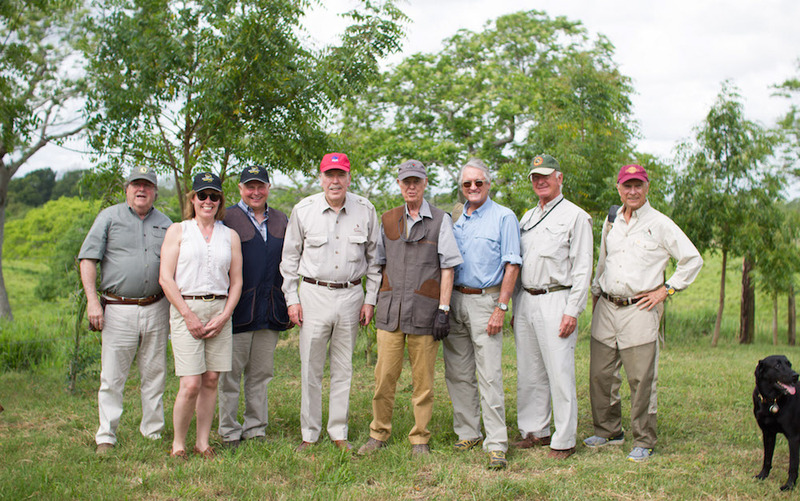 The first Casa de Campo Sugar Shooting Tournament took place in 1988, hosted by J. Pepe Fanjul in celebration of the opening of a new and improved shooting facility. 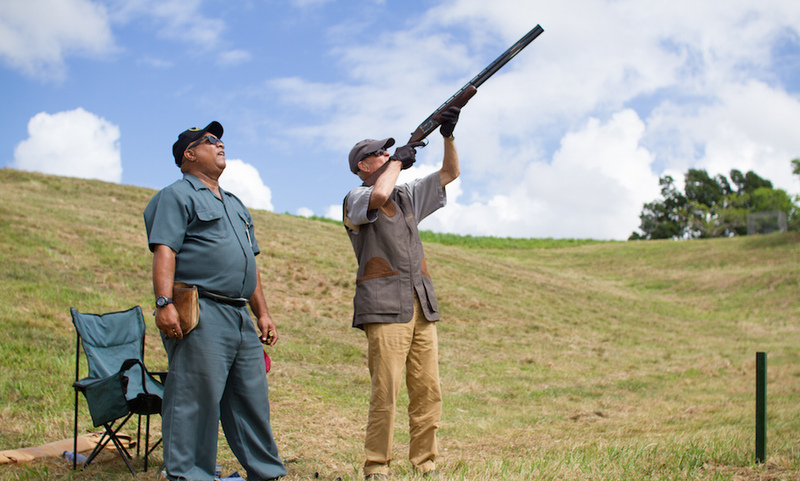 The tournament consists of numerous different shooting tournaments; game shooting every morning at Rancho Peligro, Sporting Clays, Five Stand Re-entry Clays, Two Man Flush, Pool Shoot, Live Pigeon Race – Barnabee traps, and Colombaire – A participant cannot win more than one trophy. To this day, this prestigious annual occasion gathers the most extraordinary group of people, keen shooters from across the globe who come together for a week of unrivaled shooting, cocktails, as well as fine dining at Casa de Campo’s numerous restaurants. Watching the shoot and seeing this beautiful countryside was an incredible experience – We will be publishing more about the Sugar Shooting Tournament in the upcoming days.